Safe to say this has been pretty huge over the past few months. It’s just perfect for the summer season. 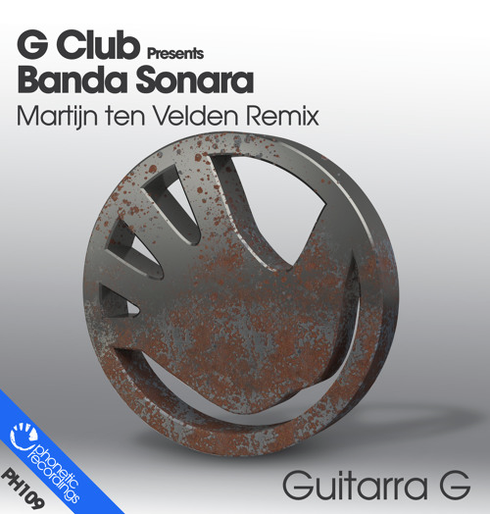 It is of course the Martijn ten Velden 2015 mix of the classic ‘Guitarra G’ by G Club Presents Banda Sonara, which sees a release on Rob Roar’s Phonetic Recordings. Dutchman Martijn is a prolific DJ/producer responsible for many top productions, and with this remix, apparently the phones at Phonetic Recordings have been in overdrive with DJs, radio and record labels trying to get their hands on a copy. Initially, the only DJs in possession of the MTV mix were in Ibiza and thus the track’s been an Balearic anthem for most of this season. Now, the mix has been cleared for release on Phonetic by Defected Records. And, as featured in Radio 1's Ibiza weekend Buzz Chart and DJ Mag's Ibiza Hype Chart, if the early reactions are anything to go by, the hype around this will just grow and grow.